Did you ever grit your teeth in desperation as you tried to deal with a difficult person? Did you ever wonder why people are so difficult? Did you ever long to have the secret to dealing with difficult people? Well, the secret is surprisingly simple to learn and not too complex to master if you don’t mind practicing. So, what is the secret to dealing with difficult people? Simply this: Stop being so difficult! Yes, that’s right; the problem is not with others, but with ourselves. Why are we so difficult to get along with? Well, we cannot love others until we first love ourselves. And most of us do not love ourselves as much as we could. You see, there are some things about ourselves that we don’t like. The things that we don’t like make us feel uncomfortable. We don’t want to think about them. So, we repress those beliefs. We push those feelings out of our consciousness. And along comes someone else who has the very ‘flaws’ we have and are trying to forget. Their presence reminds us of our faults, making us feel uncomfortable. And what do we call people who make us feel uncomfortable? We call them ‘difficult.’ They are not difficult people. They’re just people. “Difficult” is a label we stick on people that make us feel uncomfortable. Once I love myself unconditionally, I will find that I love others as well. Once I accept myself, ‘weaknesses’ and all, I will discover that I also accept others. But why do I have reservations about myself? Why am I not completely in love with myself? We are not one person, but three. The first is our original self. The person we were before our caregivers and others filled our minds with doubt in our own power and worth. This person is our True Self, and you can see it in any infant. They, as you were, are filled with courage, trust and an adventurous spirit. This person represents your unlimited potential and is the kernel of the person you were meant to be. When Johnny is told he is a “bad boy,” he has no idea that this statement is merely a tool to provide temporary relief to his young, inexperienced, impatient, and exasperated mother. Lacking the capacity for rational thought, young children, such as Johnny, simply accept what they are told as true. After several years of programming, Johnny comes to BELIEVE that he is bad, stupid, clumsy, worthless, and whatever other criticisms were hurled his way. So, Johnny’s True Self is now covered by another layer. This layer is his False Self. It is the incapable person he believes himself to be. The False Self is the second person we are. It is the image we hold of ourselves in our subconscious. We can also call it our Limited Self or our Wounded Self. Having a poor self-image is equated to having low self-esteem. Now, here’s an important point. You are not what you think you are, but what you think; you are. That is, you are not the weak person you think you are, for your True Self is powerful and has unlimited potential. Yet, because you BELIEVE you are weak, you are incapable of acting any other way. Incapable, that is, until you change your self-image. As you change your self-image for the better, you begin to strip away the layer of your False Self, allowing your True Self to emerge in all its splendor. What is the third person we are? It is the mask we wear, the person we pretend to be. You see, the shame and guilt we feel for being the person we think we are (False Self), causes us to wear a mask to hide from the world the inadequacies that we believe we possess. So, for example, timid Johnny wears a mask pretending to be courageous. How ironic that Johnny has to pretend to be what he really is, but doesn’t realize! Not only is our potential limited by our False Self, but it is further limited by the mask we wear. This is because when we pretend to be what we think we are not, we are afraid of being uncovered. We are afraid people will discover that we are weaklings after all. The shame and guilt we feel, as well as the fear of detection significantly depletes our energy, making us unable to reach our potential. Well, then, how do we awaken to our True Self? It is by changing our self-image. For once we believe in ourselves, in our capacity to change and reach our goals, we no longer need to wear a mask. And as our False Self and mask fall aside, all that remains is our True Self. But how do we change our self-image? All we have to do is do the things the person we want to become would do, and we then become that person. This is because we become what we do. If I kill people, I become a murderer; if I work out, I become strong; if I treat others with kindness, I become kind. Simple, isn’t it? Wait a minute! If I do what the person I want to become would do, isn’t that just pretending? Isn’t that the same as wearing a mask? No, it’s not, for two reasons. First, our mask is created subconsciously, but doing what the person we want to become would do needs CONSCIOUS and deliberate effort. Second, the mask is based on a lie. It is created to hide the inadequacies we think we have. But acting like the person we want to become is the opposite. It is based on the truth. It is done to reveal, uncover, and expose our True Self, our powerful self. In other words, we deliberately create our actions and then our actions create us. Let’s look at an example. Leo is timid and wishes to restore the courage of his True Self. He decides to take a small step. He is unhappy with a recent purchase and decides to return to the retailer and ask for a refund. Despite his timidity, he acts confidently. He does what the person he wants to become would do. That is, he gently, yet firmly asks for a refund, fully expecting to get it. When you understand that your thoughts, feelings, beliefs, actions, and positive results shape your self-image, you will have at your disposal the power to transform yourself. But before you can wake up and find yourself successful, you have to wake up and discover your True Self. Become aware of your three selves and take some corrective action every day, no matter how small. Doing so will bring you, bit by bit, closer to achieving your goals. And as you start to make progress, your rate of growth will speed up. As we rebuild our self-image by acting like and then becoming the person we want to be, we should also cultivate the correct mindset or outlook. Tom, for example, has a negative mindset. He believes life is a rat race. Everyone is in it for him or herself, and you cannot trust anyone. Tom is in sales and has to deal with many clients, but finds them all ‘difficult.’ It’s hardly surprising that Tom doesn’t get along very well with his clients. After all, it is impossible to not communicate one’s feelings and beliefs. Although Tom would never think of telling his clients he doesn’t trust them, he cannot hide his beliefs because the tone of his voice, body language, and behavior speak louder than words. There are many books written about dealing with ‘difficult’ people, but all of the tips they share are worthless without the correct mindset. What is the correct mindset or outlook? Simply this: There are no nasty people. Sure, some do nasty things, but not because they’re nasty, but because they’re troubled. The correct mindset is merely the recognition that at heart, all people are decent and given a chance, will rise to the occasion. But what about ruthless murders and serial killers? Aren’t they evil people? No, they are sick people. They are mentally ill. And mental illness is no more evil than cancer. Although they are not evil, they are dangerous, and society has to be protected from them. Sue was on her way to work. She was wearing a new suit for the presentation she was going to make. The morning rain had stopped, so she didn’t bother with an umbrella. There were puddles here and there, but she simply walked around them. As she approached the bus stop, there was a pothole in the sidewalk, which she walked around. Suddenly, Sue was slammed from behind with such force she fell to the ground, landing in a puddle, splashing dirty water all over her suit. To make matters worse, she badly bruised her knee on the concrete and tore her stocking. Understandably, she was upset. Perhaps that’s too mild a word. It would be more accurate to say she was in a rage. She rose to her feet and turned to see who was responsible. It was a blind man! Because he was sightless, he couldn’t see, and didn’t expect, the pothole. He tripped into it and fell against Sue. What happened to the rage that Sue felt after she saw the bind man? In a moment it was completely gone. The anger dissipated because she realized that the man who struck her was completely innocent. There were no malicious intentions. When we have the right mindset, we realize that, figuratively speaking, everyone we meet is a ‘blind person’, stumbling about, bumping into people, knocking them down. They’re only going about life doing the best they can. If we realize that, all of the bruises and anger we experience will quickly disappear. Cultivate the right mindset by remembering this. Even after learning to love ourselves and cultivating the right mindset, we are subject to the harmful effects of stress. Workers are faced with uncertainty as companies lay off employees, and those who are working are overburdened. Often, even home is not a sanctuary, for many live in crowded apartments with thin walls and never-ending noise. And if one’s nerves aren’t rattled enough, there are traffic jams that drivers put up with and packed public transportation for the rest of us. At home, at work, and on the way to work: stress, stress, stress. Think of the word stress as short for distress, which has a negative impact on us. In contrast to stress/distress there is good stress, which is called eustress. Suppose you played the lottery and won several million dollars. That would be stressful, but I think you will agree, it’s the type of stress (eustress) you wouldn’t mind having. 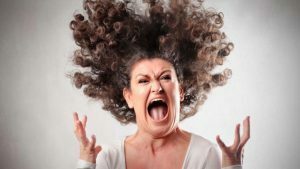 In this article I’m focusing on distress or negative stress, which is another reason why there are so many ‘difficult’ people. They are difficult because of the difficulties they face daily. Stress causes loss of focus, energy, and patience. It makes us irritable and prone to illness. The message is clear: we cannot grow entirely successful until we learn how to manage stress. By manage I mean reduce its harmful effects. Here are some things you can do to reduce stress, making it easier for you to get along with others. 1. Letting Go. Try this experiment. Hold a glass of water at arm’s length. It represents stress. Notice how it grows heavier the longer you hold it. If you were to hold it for five minutes, your arm would ache. Hold it for ten minutes, and you would be in great pain. Thirty minutes and you could cause physiological damage. So, what should you do about this stress that you’re holding on to? Put it down! If you were to put the glass of water down and rest five to ten minutes, do you know what would happen? When you picked it up again, it would feel much lighter. Same glass, same weight, but it would feel lighter. It would feel lighter because you rested. You see, your stress at work isn’t due to your workload as much as the fact that you are not resting for five or ten minutes when things get unbearable. If you take a five or ten minute break, it is not time wasted. Rather, it is an investment in time. Because after you are rested, the quality of your work greatly improves. You will get more done in less time. You will become more efficient. 2. Time Management. With increased workloads at the office, workers are increasingly feeling overwhelmed, and, consequently, stressed out. Organizing and time management skills are necessary if we are to reduce stress. Fortunately, help is at hand. I suggest you download Michael Linenberger’s free eBook The One Minute To-Do List. He will teach you how to organize and manage your day with the least amount of stress. Consider his book a must-read. 3. Get Debt Free. Financial worries are a major source of stress and even marital breakups. If you are heavily in debt, see a financial advisor for help in getting your financial affairs in order. 4. Exercise. Nothing reduces stress and promotes good health as much as exercise. Need I say more? 5. Get Enough Sleep. How much sleep do you need? I can’t say because sleep needs vary with age and individuals. But you should be able to detect when your performance, proficiency, and productivity begin to slip. Your body and subconscious need sleep to rejuvenate, ‘recharge its batteries’, and restore alertness and clarity of mind. Don’t skimp on sleep. 6. Eat a Balanced Diet. Food is our body’s fuel. But eating junk food is like putting sand in the gas tank of your car. Why would you do that? Take care of your body and it will serve you well. 7. Learn Diaphragmatic Breathing. Because of the mind-body-feelings (emotions) connection, when we change one of the triad, the other two change as well. For instance, if we change our breathing pattern to mimic that of a very relaxed person, we too will relax, letting go of stress. 8. Meditation. Want to learn about stress-busting meditation? Your library or book store will help. 9. Guided Visualization / Imagery. Use the power of your imagination to melt away stress. Find out more here. 10. Check out Michael Castleman’s article 37 Ways to Make Managing Stress Much Easier. The good news about ‘difficult’ people is that they reveal what we don’t like about ourselves, so we can work on those areas to improve ourselves. But more important than working on our flaws is working on our heart and outlook. After all, the only flaw that needs working on is the fact that we don’t already unconditionally love ourselves. For once we accept ourselves, flaws and all, we will be able to accept others unconditionally, and at that point we will discover there are no difficult people, just (wonderful) people. Keeping in mind the pain of self-doubt, a negative outlook, and debilitating stress that many people are experiencing, do your best to lighten the load of as many people as you can by treating everyone with kindness and offering them words of encouragement. Getting Along: Making Significant Relationships Work: The Relationship Intelligence Handbook II by Edwin A Hoover Ph.D.